Fly Labs disclosed the purchase on its website, saying current employees will work on the Google Photos team at Google's headquarters in Mountain View, Calif., suggesting the Internet giant is looking to bake advanced video editing tools into the cloud-based photo service. The developer's apps —Clips, Fly, Tempo and Crop on the Fly —were relatively popular by iOS App Store standards at more than 3 million collective downloads over the past 18 months. According to Fly Labs, more than 20 million videos were created using its tools. 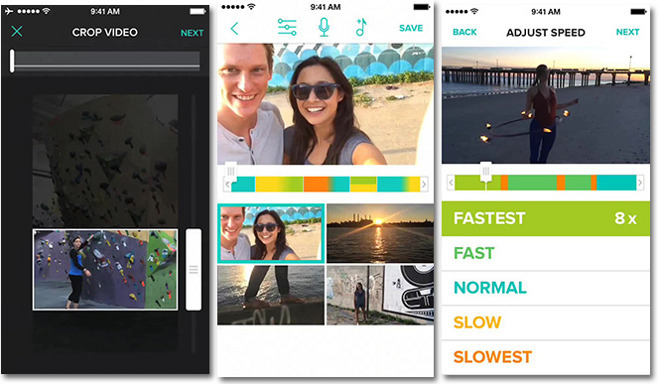 As with other freemium app titles, the flagship Fly Video Editor came with premium editing tools unlockable through in-app purchases. As part of the acquisition deal, however, Google is making all in-app purchases free for three months, at which point all four apps will be pulled from the iOS App Store. Google's purchase hints at future video editing integration in its own Google Photos product, a service that uses machine learning and computer vision to more easily organize and collate photos.